How do you order Hydroxychloroquine 200 mg online? 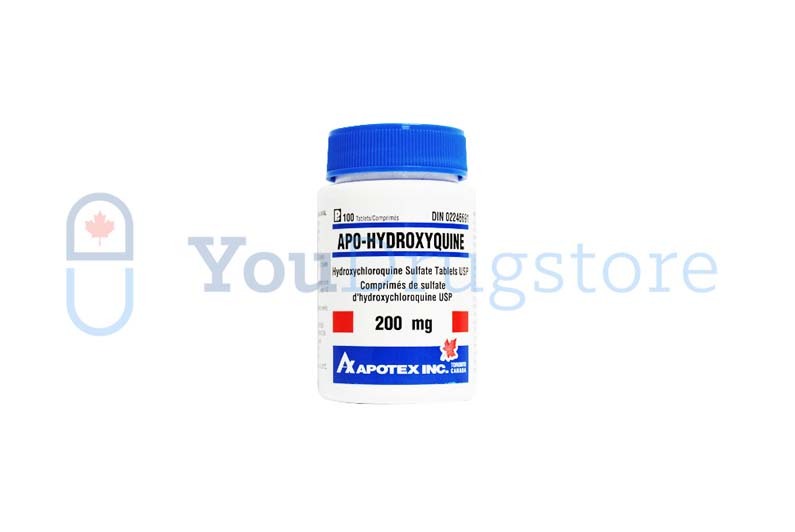 You can order Hydroxychloroquine 200 mg online from YouDrugstore. We are an online pharmacy based out of Canada, which means you can buy Hydroxychloroquine 200 mg at the same price Canadians pay. All you have to do is register on YouDrugstore.com and then send us your prescription. Like any pharmacy YouDrugstore requires your prescription so that our highly qualified staff of pharmacy technicians and physicians can review your order. 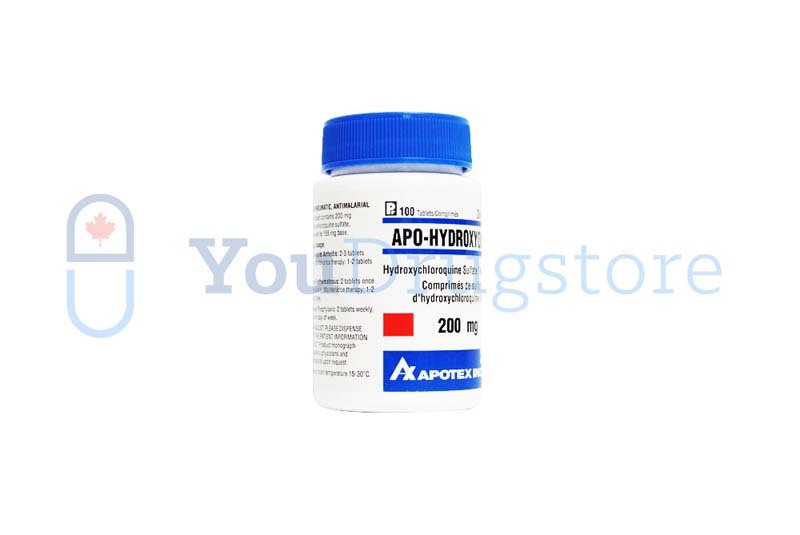 Enjoy our cheap cost of shipping when you purchase Hydroxychloroquine 200 mg from YouDrugstore. We even offer free shipping on any order over $100. Order your generic Hydroxychloroquine 200 mg today from YouDrugstore and prevent Malaria. Who might receive a prescription for Hydroxychloroquine 200 mg from their doctor? Your doctor has prescribed generic Hydroxychloroquine 200 mg for the prevention or treatment of Malaria. Malaria typically spreads via mosquito bites and is a common problem among people who travel. Symptoms of Malaria are mostly similar to flu-like symptoms, including shivering, fever, and vomiting. Speak to your doctor before taking Hydroxychloroquine 200 mg if you have any allergies, are pregnant, may be pregnant, or on other medications. Never take Hydroxychloroquine 200 mg if you are allergic to it or any of its ingredients. Speak to your doctor if you have any concerns. When should you take Hydroxychloroquine 200 mg? Always take Hydroxychloroquine 200 mg exactly as your doctor has directed. Typically, he or she will tell you to take 2 tablets of generic Hydroxychloroquine 200 mg every week in order to prevent Malaria. If you have been diagnosed as already having Malaria your doctor will likely tell you to take 4 tablets of Hydroxychloroquine 200 mg at once. For children, Hydroxychloroquine is prescribed based on height and weight. You can take Hydroxychloroquine 200 mg with or without food, but it is suggested you take it with food or a glass of milk to prevent any stomach upset from occurring. If you miss a dose simply take it as soon as you remember unless it is almost time for your next scheduled dose. Do not double dose or try to make up for missed doses. Ask your doctor if you are unsure how you should take your Hydroxychloroquine 200 mg tablets. Why is Hydroxychloroquine 200 mg prescribed to treat Malaria? Hydroxychloroquine 200 mg is a generic drug. It is a derivative of Chloroquine, a powerful antimalarial drug that sabotages the Malaria parasite's metabolic process. As mentioned above, Hydroxychloroquine rarely causes side effects. It is also considered to be one of the most important medications to a basic health care system by the World Health Organization; it is on their list of most essential medicines. Hydroxychloroquine also has anti-inflammatory properties, making it useful in treating other conditions, such as arthritis. If you have a prescription you can order Hydroxychloroquine 200 mg from YouDrugstore today to treat Malaria as soon as possible. What are the side effects of taking Hydroxychloroquine 200 mg? Typically, side effects do not often occur when taking generic Hydroxychloroquine 200 mg. However, the most commonly reported side effects include diarrhea, headache, nausea, vomiting, stomach cramps, itchiness, and a change in vision. Other side effects include dizziness, lightheadedness, restlessness, and discoloration of hair, skin, or nails. Speak to your doctor immediately if you experience convulsions, seizures, ringing or buzzing in the ears, very sore throat, fever, or unusual tiredness, weakness, or bruising. If you have any questions talk to your doctor. Where can I learn more about Hydroxychloroquine 200 mg?